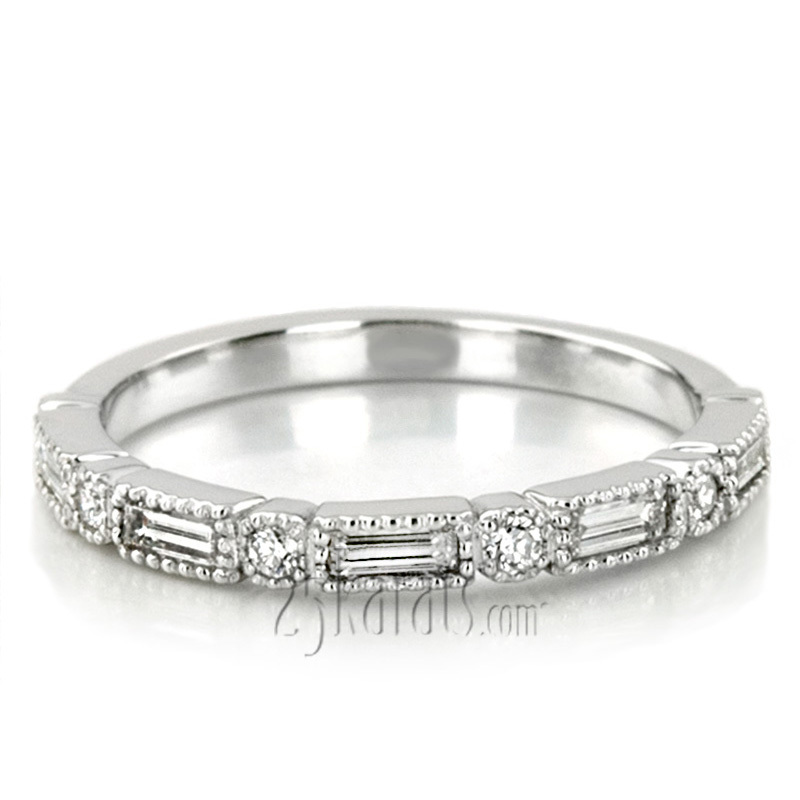 Baguette and round diamonds paired up in this elegant design to to be worn in any occasion with your engagement ring. 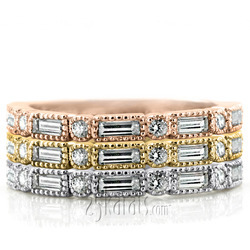 The fun fact is it makes it much more enjoyable stack them together in white, yellow and rose gold. 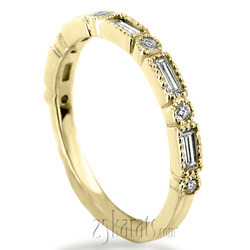 This bezel set mill grain band is set with 0.42 t.c.w. diamonds. 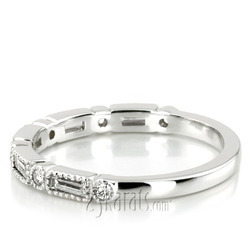 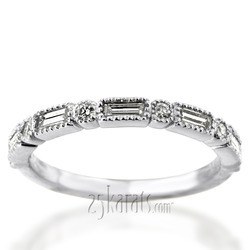 Carat Weight / Size (each): 0.06 ct. / 3.5x1.5 mm.